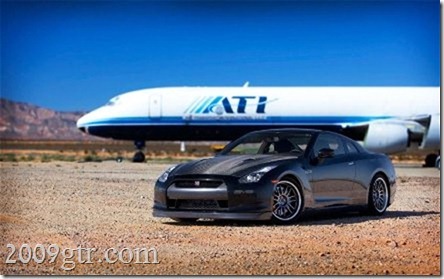 Just prior to the SEMA show last year, Davin and Chuck from NAGTROC took a 2,000 mile road trip in a AMS tuned Alpha 9 Nissan GT-R. At the end of the trip, the car was displayed at the show, then taken to Buttonwillow to compete in the Super Lap Battle. Buttonwillow 13CW is the time attack track of choice in the US on the west coast. Anything under 2:00 is considered very fast. That trip saw all kind of road conditions, the SEMA show in Las Vegas and at the end of this journey was the Super Lap Battle finals at Buttonwillow race way in California. There the President of AMS Performance Martin Musial drove AMS to a 1, 2 finish in the street class with our Shop 900X package EVO X and ALPHA 9 powered GT-R. The EVO edged the GT-R out by a fraction of time. It wasn't quite a fair fight as the GT-R did not have the suspension setup to optimize performance due to time constraints unlike the AMS EVO X. Despite some slight (lol) over-steering problems the ALPHA 9 package performed GREAT! With some more suspension setup behind the JRZ RS pros we are sure our EVO Would be sitting in the second spot and the GT-R would be in its rightful place on top!